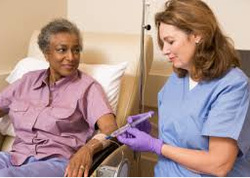 Intravenous, or IV Ketamine is the hottest topic in the field of Psychiatry for use in "Treatment Resistant Depression". That is, depression that does not improve after multiple trials of antidepressants, psychotherapy, and/or ECT (Electroconvulsive Therapy) have failed to provide relief. Ketamine has been approved by the U.S. FDA as an anesthetic since 1970. There are over a dozen studies in the Psychiatric journals showing a more rapid improvement in depressive symptoms compared to medications, psychotherapy, and even ECT, the standards in research trials. According to the current Psychiatric Literature, the experts in Treatment Resistant Depression (TRD) recommend a careful risk/benefit analysis before offering Ketamine as a possible treatment. This includes being evaluated by a Psychiatric Physician experienced in treating patients that have not responded to standard therapies such as "SSRI" antidepressants and Psychotherapy ("talk therapy"). And, the determination if other treatment options are available. Treatment Resistant Depression designation is determined by an MD Psychiatrist experienced in evaluating and treating TRD. Diagnosing and treating TRD involves experience in the use of more aggressive treatment options, such as MAOI antidepressants (Monoamine Oxidase Inhibitors), multiple mood stabilizer combinations, and, Clozapine in the case of Treatment Resistant Bipolar Depression/Mixed states. Additional understanding of TRD patients involves experience in the use of ECT (Electroconvulsive Therapy), and/or VNS (Vagus Nerve Stimulation).